Zombieland businesses are half alive and half dead. Their owners and managers often work crazy hours, sometimes milking their life savings and retirement accounts to keep them afloat, even re-mortgaging their homes and signing personal bank-loan guarantees, or asking friends and relatives for capital or loans. Working in a Zombieland business is a nightmare, much like the George Romero cult movie, Night of the Living Dead. 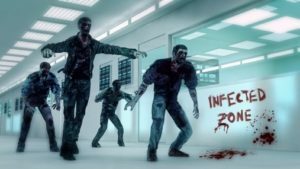 If you’re in in a Zombieland business, here are thoughts on how to escape. Recognize that you, like all humans, have an incredible capacity for self-deception, especially when you’ve poured your heart, soul, and hard-earned cash into a dream business. Stop living in denial. Seek advice and counsel from outside, objective, smart advisors, people you admire and who have had success in business. Be honest with them and share the true state of your finances and operations. You may ask them to sign a Non-Disclosure Agreement promising to keep your information confidential. This reality check will likely not come from your best buddies who may not want to hurt your feelings, or from family members who mean well but don’t have the expertise to counsel you. For this reality check, you need smart, independent advisors. See my previous post on Advisory Boards. Most business people are so busy with day-to-day operations and firefighting that they have no time to think. You must carve out time to reflect, to look back clearly at what’s been going on in your business, to research what’s making a comparable business successful while you are stagnant. It would be useful to compile, ideally with the help of your trusted advisors, a SWOT list for your business: your Strengths, Weaknesses, Opportunities, and Threats. Be brutally honest. How much cash do you have on hand, and how long will it last? What’s happening around your business that might impact you? What unique advantages do you have? What will you do more of because it promises great returns? What will you do that’s brand new and that might be a breakthrough for you? Drawing from the Lean Startup Methodology, successful businesses “pivot” quickly. They try new ideas, get quick customer feedback, iterate to a new trial, and then keep repeating until their customers have cheered the latest iteration with cash. Then these businesses keep iterating and pivoting. Create a plan to escape Zombieland with monthly targets and goals for your key business metrics. Share this plan with your advisors so they can hold you accountable. You’ll need to revise it often, but it will be your lifeline to reinvent your business. Create a “plan B.” What will you do if the unthinkable happens? What if you can’t escape Zombieland? Only by facing the hard truth can you gather the courage to stop living the life of the undead and resurrect the joy of running a successful business. Change what you’ve been doing. Your life is too precious to live in Zombieland. Escape to the beautiful world that you can, indeed, create. 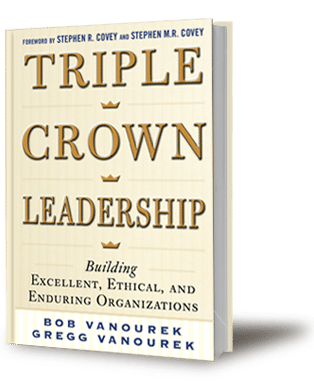 Bob Vanourek is the former CEO of five companies, a frequent speaker on ethical leadership, and the co-author with his son, Gregg, of the award-winning book, Triple Crown Leadership. Bob’s latest book, also an award-winner, is Leadership Wisdom: Lessons from Poetry, Prose, and Curious Verse.